In recent years, more car recalls have been occurring than ever before. MarketWatch reported a record number of recalls in 2015, with more than 51 million cars recalled due to various hazards. This number was down from 2014, when there were close to 64 million vehicles recalled, according to the New York Times. All of these car recalls mean motorists are in danger because many are driving around in cars with hidden risks. Unfortunately, the danger is likely to persist for a very long time and may even become worse, because not every recalled car get the necessary repairs, and a huge number of them end up being sold on the used car market. Often, unsuspecting consumers end up buying these recalled cars and sometimes they get into deadly accidents as a result. 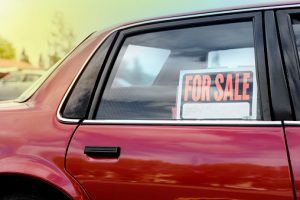 While federal law requires the repair of a recalled vehicle before a new car dealer can sell the car, there is no comparable law for used vehicles. Many dealers just end up not making the repairs since they are not legally required to do so. A lot of the cars which have problems end up at auto auctions, which the New York Times indicates is where dealers send cars that they wouldn't feel comfortable directly selling to customers. Used cars can end up being sold at auctions multiple times. The used car market is actually bigger than the market for new cars, with more than 38 million used cars sold nationwide last year. The buyers who purchase these millions of used vehicles, whether at auction or otherwise, usually have no idea of the active recalls. They didn't get the original notices from manufacturers alerting them to problems, and they are not told of the need to get the cars repaired when they purchase them. This means millions of people could be driving around in cars that have serious flaws likely to cause or exacerbate accidents. One woman who was involved in a fender bender ended up dying in a crash she should have walked away from because her airbag had violently exploded. The car she was in had an active recall and multiple notices had been sent out about the recall since 2008. The woman got the car as a gift from her son and had no idea about this. Her son, who bought it from a friend, had no idea. The car had been sold at auction twice before, prior to the son buying the car from an acquaintance he played pool with. Because the driver did not know about the active recall, or the danger she was in, she ended up losing her life. The tragic outcome should have been prevented with better laws, but it wasn't. When this type of situation arises, it is essential for victims and their families to know their rights after a devastating crash has occurred.